Geeta, a mother of two, lived in the slums and struggled to put food on the table every day with the meager 20 rupees her husband gave her. That amount equaled less than 50 cents at the time. In the evening, Geeta’s husband would come home drunk, having spent most of his earnings on alcohol. When she did not meet his expectations for dinner, he’d bring out whatever stick, rod or bat he could find and beat her in his drunken anger. What Geeta endured at the hands of her husband is the story countless women across Asia can share. The circumstances may be different, but the reality is the same. Throughout the centuries, women have silently suffered violence at the hands of their husbands who were supposed to love them, at the hands of their close and distant relatives who were supposed to care for them, and at the hands of strangers who were never supposed to have their hands on them in the first place. Countless women across Asia have suffered in silence. This gender-based violence can take many forms, from female infanticide and domestic violence to trafficking and honor killings. Violence against women stretches from country to country and takes on many forms. It is estimated that 1 in 3 women—globally—have or will experience abuse in their lifetime. In 1999, it again reiterated this and established November 25 as International Day for the Elimination of Violence against Women. 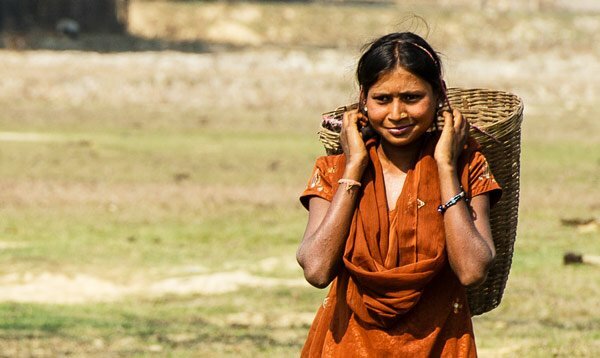 The World Bank released a report in 2014 titled “Violence against Women and Girls: Lessons from South Asia,” which categorized the various types of abuse and discrimination women endure throughout the stages of their lives. Female infanticide, child marriage, dowry violence, domestic violence between spouses and family members, sexual harassment, trafficking and honor killings are only some of the violence reviewed. Gospel for Asia (GFA) field partners see the effects of this violence firsthand as they minister to battered women, abused daughters and neglected widows. Maloti experienced discrimination when her in-laws attempted to poison her because she was from a lower caste. In 2014, Gospel for Asia released a documentary film called “Veil of Tears,” profiling the gender-based violence that millions of women across Asia endure. It introduced us to Maloti, whose in-laws tried to kill her because she was of a lower caste than they; and Suhkwinder, who wanted to commit suicide because of the constant verbal abuse from her in-laws for not giving birth to a son. These women, including Geeta, reveal the degrees at which a woman’s dignity is at stake—even snatched away. But why are women targets of such abuse and discrimination? Why does it seem almost like a requirement for women to silently endure the violence done against them? Gospel for Asia would like to suggest it begins when people no longer see others as made in the image of God, as “knit from the same cloth,” as fellow human beings and citizens with equal rights and values. Throughout the countries that make up Asia, women have been regarded as inferior to men. Historical traditions and customs permeate and perpetuate the worldview that females are less than men and should be treated as such. This perception taints the way people look at women and girls. What’s tragic is that this discrimination starts at conception.